Telstra will offer eSIM support for wearable devices, the telco announced today. The telco’s ‘Telstra One Number’ service will allow a wearable device, such as a smartwatch with cellular connectivity, to share the phone number, data allowance and included calls and texts of a customer’s mobile phone service. The telco said that the embedded SIM card technology — which unlike software-based SIMs still relies on hardware but doesn’t require the insertion of a physical SIM card — will be made available to customers on a “range of upcoming devices” over the next 12 months. Apple’s new Watch Series 3, unveiled overnight, offers support for LTE connectivity and uses an eSIM. “Telstra One Number paves the way for a new generation of wearables with evolved designs and voice and data integration,” said Telstra’s executive director, product innovation, John Chambers. 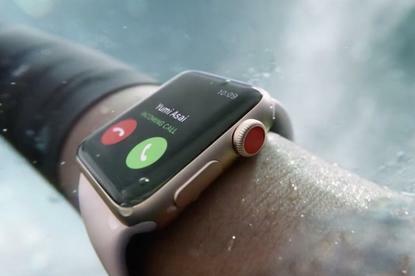 “Up until now, customers have had to pair their smartphone with their wearable devices using Bluetooth to access calls, messages and notifications on their wearables,” Chambers said.